The Centers for Disease Control is reporting an outbreak of norovirus on a Holland America cruise ship in Alaska. Some 73 people reported falling ill on the Zaandam which is carrying more than 2,000 passengers and crew. Holland America released a statement Friday confirming that a number of passengers reported falling ill with a stomach virus on Monday. It said it activated a protocol to isolate ill passengers in their cabins. It also cleaned railings, door handles and other commonly touched surfaces to prevent the virus from spreading further. “The safety and well-being of our guests and crew is our top priority,” the statement said. Juneau’s top attraction is the Mendenhall Glacier. The glacier’s visitor center can receive as many as 6,000 cruise ship visitors in a single day. The U.S. Forest Service monitors reports of outbreaks on cruise ships so it can step up sanitation as a precaution. 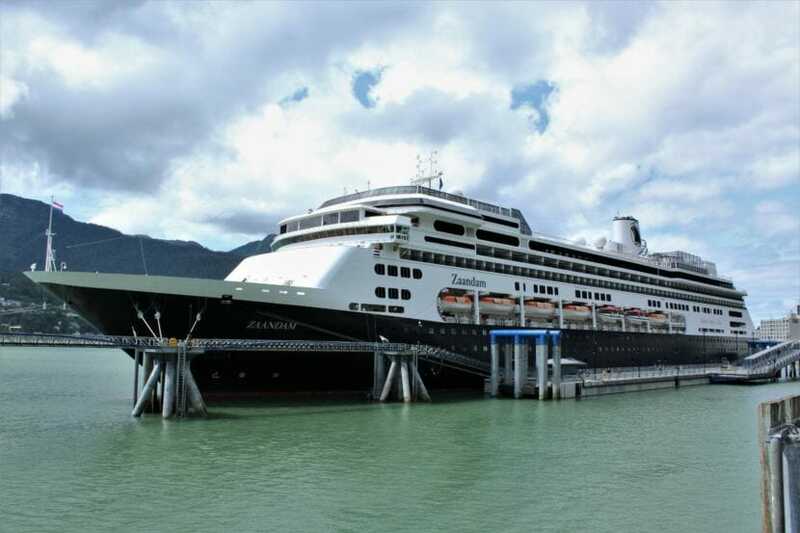 The 781-foot Zaandam was docked in Juneau all day on Friday. It’s scheduled to depart at 10 p.m. and is headed to a number of Alaska ports including Hoonah, Anchorage, Homer, Kodiak and Sitka before it returns to Seattle on July 2. It’s the sixth reported norovirus outbreak on a cruise ship this year and the second in Alaska, according to the CDC. The 610-foot Silver Shadow reported 36 people fell ill during a May voyage that included Dutch Harbor, Kodiak and Homer. Norovirus can cause vomiting and diarrhea usually a day or two after exposure. Most people fully recover within a few days.